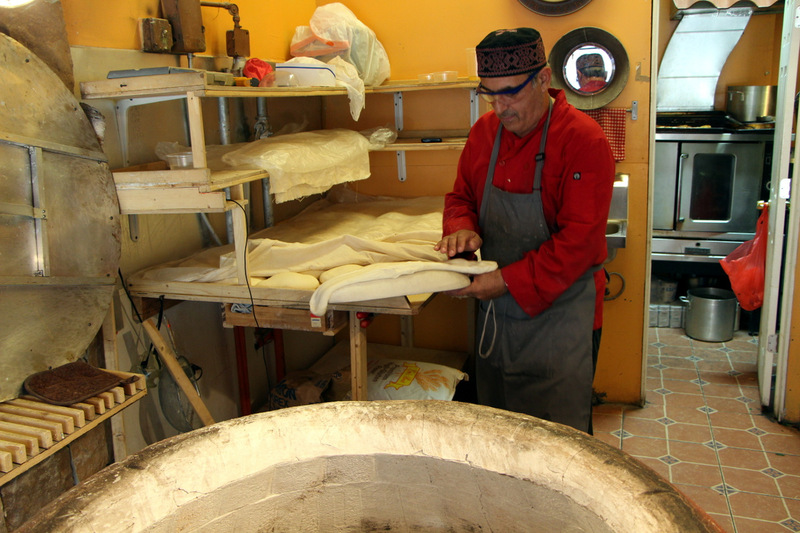 Georgian Bread in Brighton Beach – The Looooooove Boat! If only my parents would have taken me to Georgian cafes for some delicious Khatchapuri instead of staying home watching The Love Boat all those years. Would I have appreciated it as a kid? Not sure. I know my youngest who went with us to one of those a few weeks ago, would have rather stayed home and watch the same Full House episode for the 25th time. You realize that your kid watched a particular episode for the 25th time when you as a parent already know the entire episode by heart without actually ever watching it. I’m still convinced that that is the reason our goldfish, Ziggy Jr. Jr. (not to be confused with our previous goldfish Ziggy Jr.) leaped to his death. When you hear that music, when one of the adults on the show explains yet another life lesson to the kids, on an hourly basis, there’s just so much you can take. You know the place is authentic when you are not sure exactly of its name. 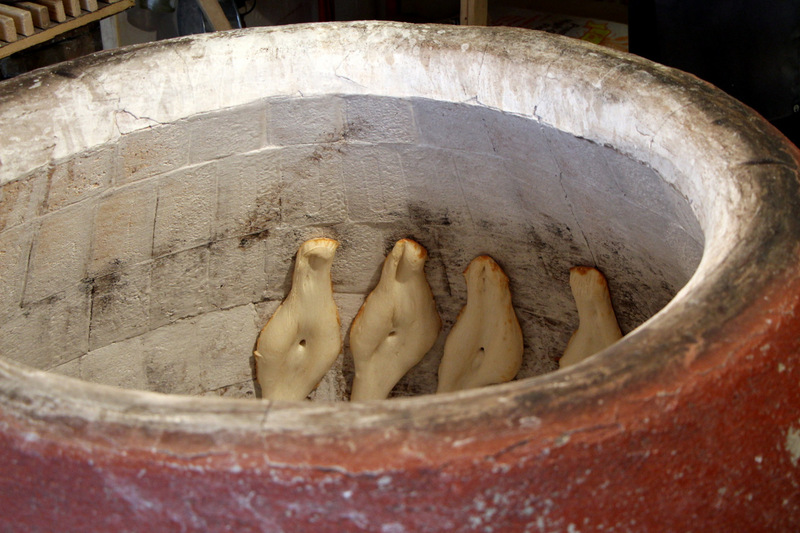 Georgian Bread? Tone Cafe? 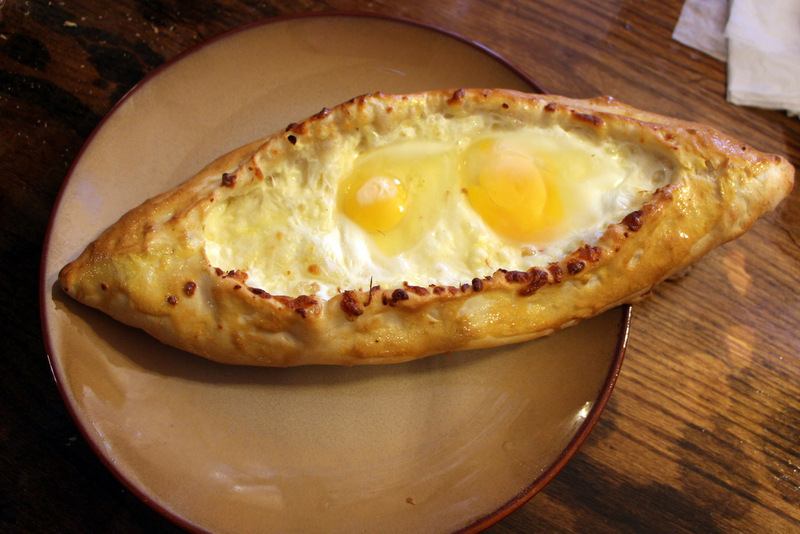 Khachapuri-R-Us? 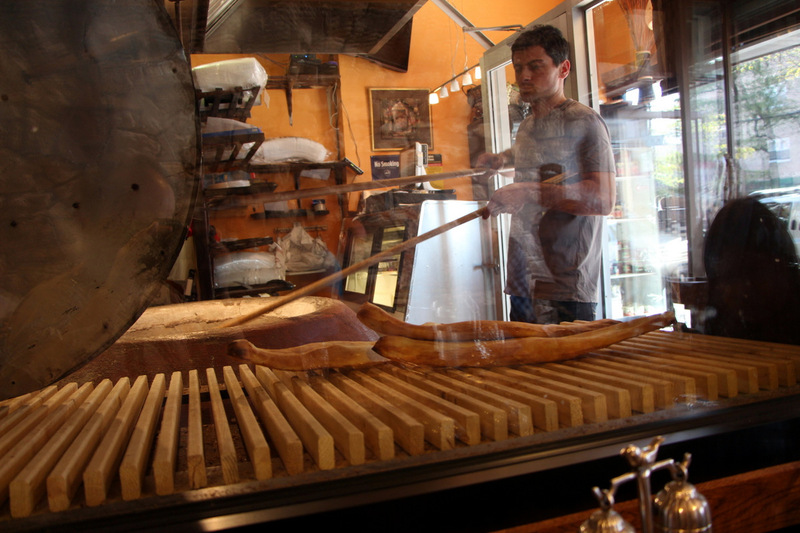 Whatever its called, this Brighton Beach gem is worth the schlep, even while being a little out of the main babushka hub. Lets call it Tone. Tone recently renovated to transform a takeout place into a takeout place with a cozy, rustic, attached sit down with gorgeous views of the oven. The only type of oven in NYC where you can say “gorgeous views of the oven”. 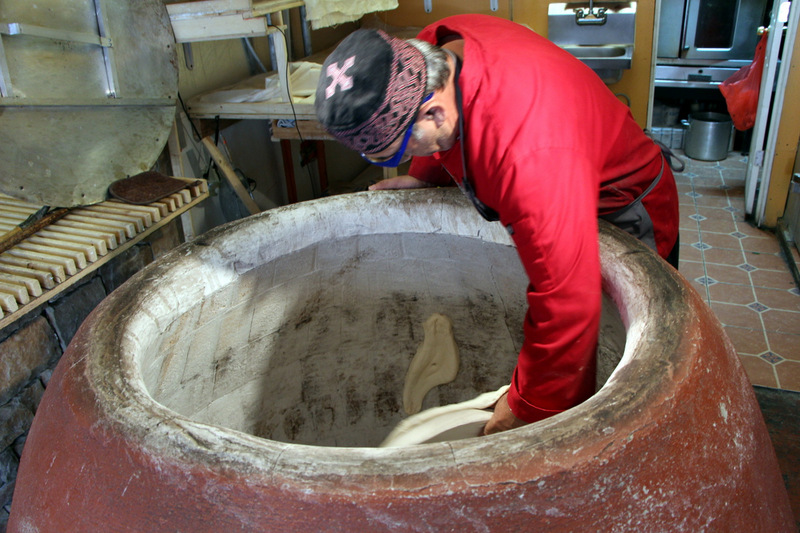 In a city filled with some amazing and unique bakeries, add Tone, or the Georgian bread place near you to you list. 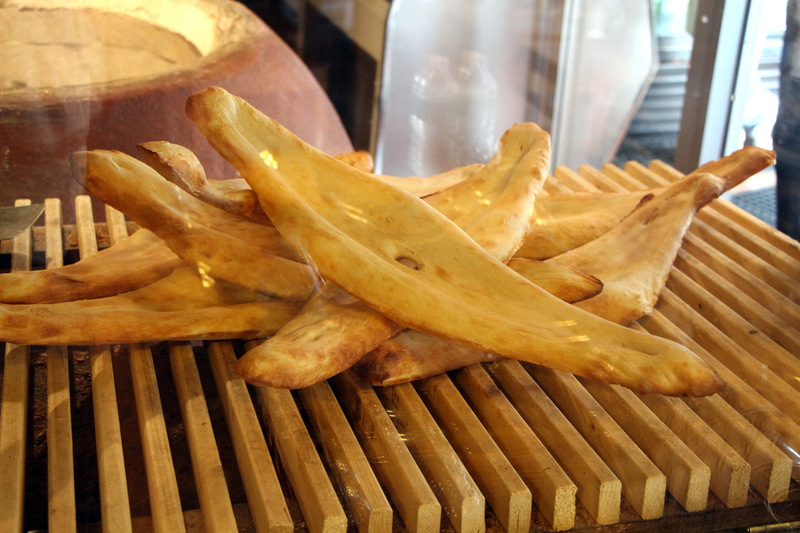 The main draw here is the Khatchapuri, essentially bread with cheese which can come in various forms and sizes. 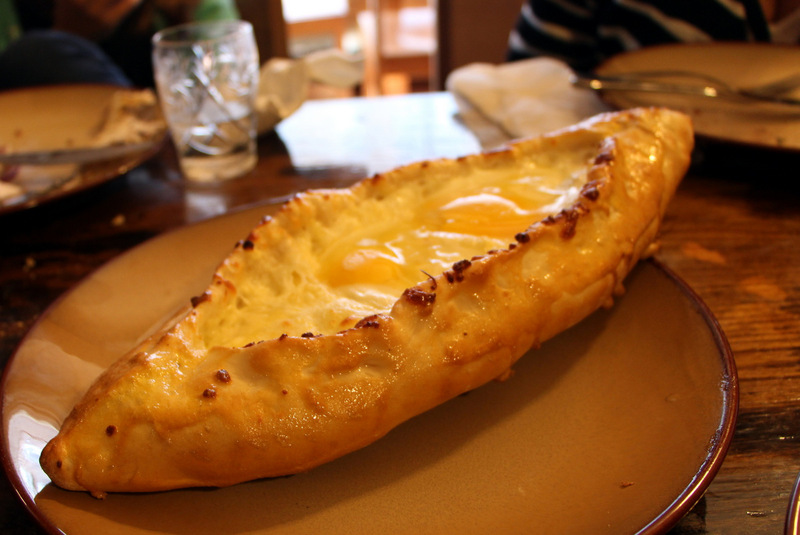 But the one to get is the Adjaruli Khatchapuri, a boat shape bread topped with Farmer’s Cheese and an egg cracked open right before serving. 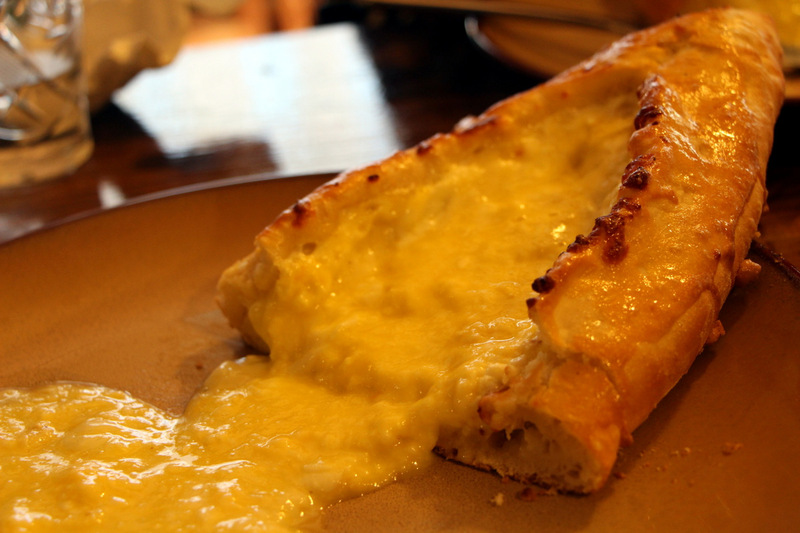 You then mix in the egg with the cheese and the result is a gorgeous feast for all senses. The bread is hard, crispy and the perfect partner for that rich, runny mess you just made. We managed to eat about half of the Adjaruli because we were no longer hungry after pre-stuffing ourselves with the following goodies. The best perhaps came first. 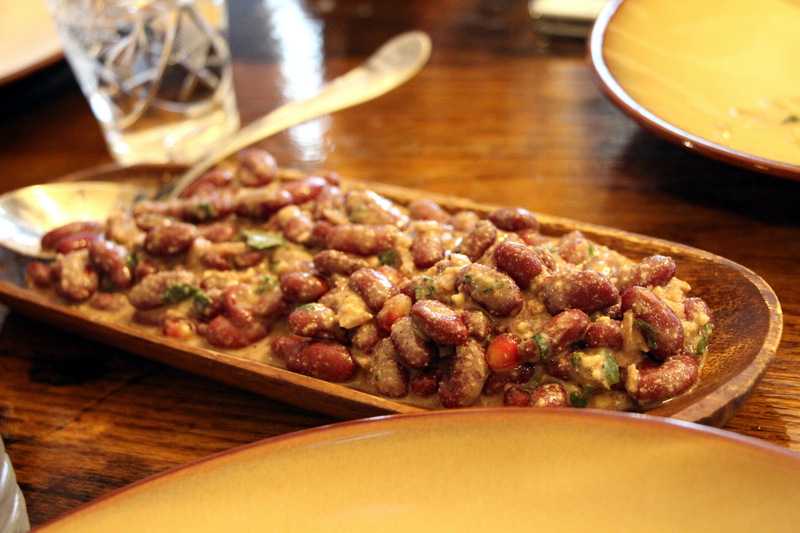 Lobio, essentially a sick red bean salad, with ground walnut, pomegranate and spices. The perfect starter! 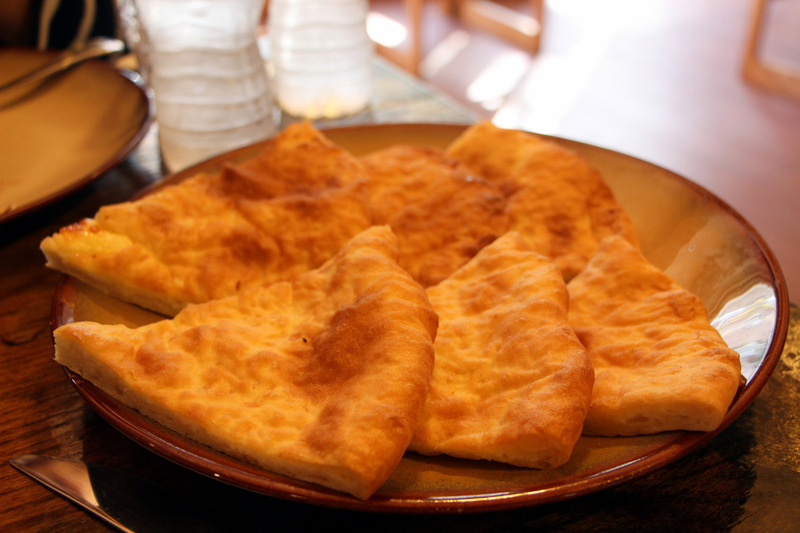 Imeruli was another form of Khatchapuri, this one being cheese filled soft bread. Satisfying, although not particularly unique to us. Mtsvadi, Shashlik (Shis Kebab) was a decent kebab. 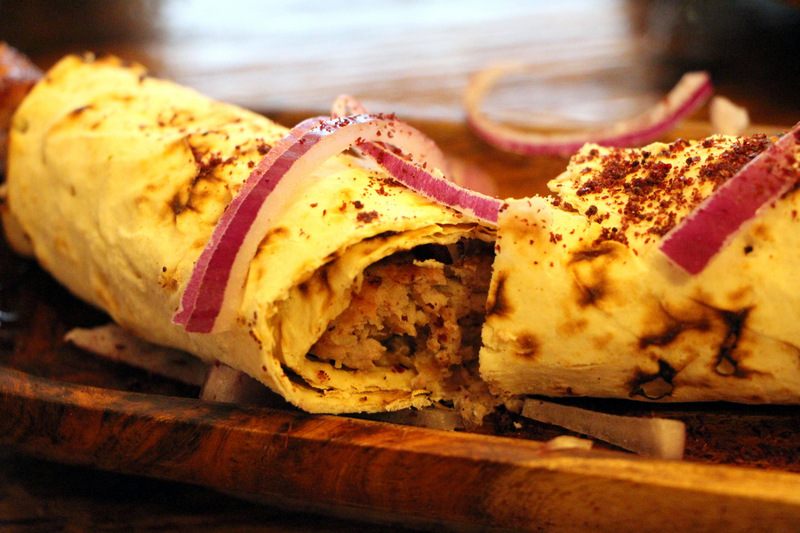 The “Kababi” on the other hand, ground beef pork perfectly seasoned and slow cooked, wrapped in flat bread was fantastic. Drinks available are the normal Russian fare including the sweet Pear Soda, and the Kompot (like a fruit punch), which the Russians like to dilute with vodka they carry in water bottles. Great pictures! 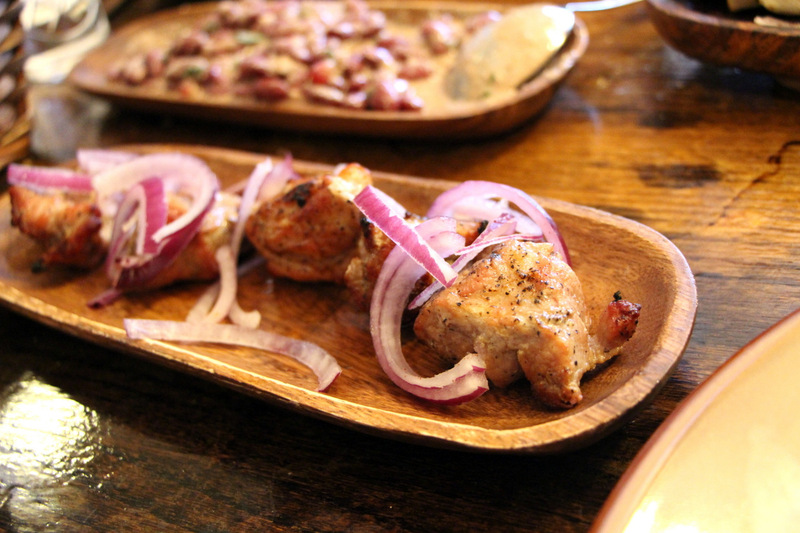 This post makes me wanna go there tonight, I really want to try this place and compare their Georgian fare to my favorite Georgian-Russian restaurant in San Diego. Left SD over a year ago for NYC, I live here now but Brighton Beach is far. 😉 Food scene in SD was frustratingly underwhelming but Pomegranate (the Russian-Georgian place) is truly special. I’m nervous about trying out the seemingly overpriced Russian options in Manhattan. I love Kashkar Cafe, so lamby and delicious. Didn’t get to go earlier but I now have another place to try in Brighton Beach then, thanks! Read your post on Elmhurst. 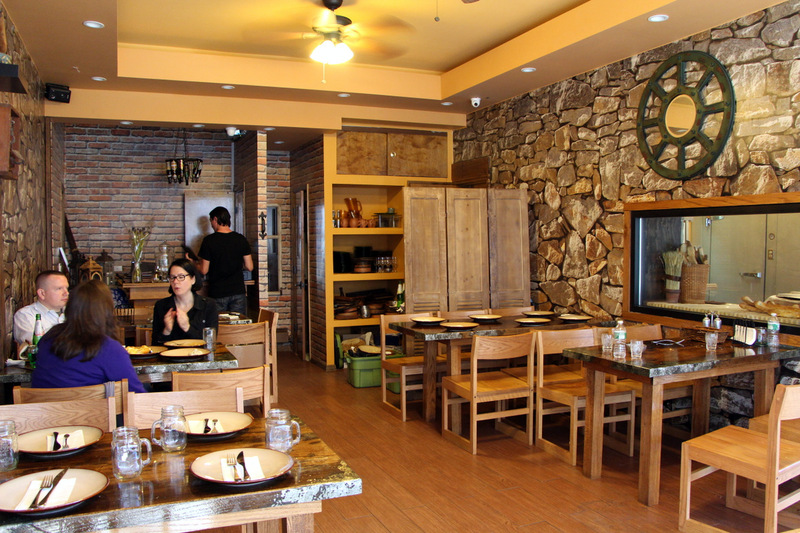 On your next visit, maybe try Uncle Zhou (http://goo.gl/9y3rqL) and Chao Thai if you haven’t yet. Well you are in good hands now food wise. In Manhattan I have to admit, Russian food is last on my mind. So many places I still want to try, but none are Russian. But you do have many decent choices. 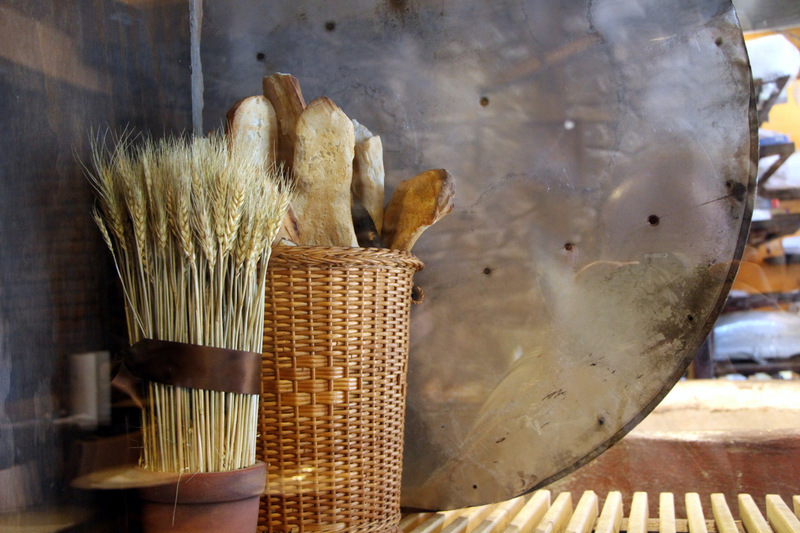 I also have a post about restaurant Moldova in here somewhere which is one of the most popular posts. I’m giving away some childhood secrets in that one.